He has never been out on a date with a girl. do you remember the date of her arrival? Zahedi is a kind of dried date that grows in Fars and Khozestan provinces in Iran. زاهدی نوعی خرمای خشک است که در استان های فارس و خوزستان در ایران رشد میکند. Today's date is 11 December 2004. Look at Study Page S8. He's asked her out on a date. The machinery they use is completely out of date. This ticket is out of date. The new kitchen will be right up to date, with all the latest gadgets. Is this list of names up to date? What’s the date of the next meeting? You should apply at least 8 weeks before your date of departure. The details will be agreed at a later date. The cost of the work to date has been about £150 million. Her best performance to date was her third place at the World Junior Championships. I’ve got a date with Andrea tomorrow night. Can I bring my date to the party? Let’s make a date to come over and visit. ▪ the exact/precise date I can’t remember the exact date we moved into this house. ▪ the agreed date British English, agreed upon date American English (=one that people have agreed on) The work was not finished by the agreed date. ▪ the closing date (=the last day you can officially do something) The closing date for applications is April 30th. ▪ the due date (=the date by which something is due to happen) Payment must be made by the due date. ▪ the delivery date (=a date on which goods will be delivered) The delivery date should be around 23rd August. ▪ the publication date (=the date when something is published) We are aiming at a publication date of mid-November. ▪ the departure date (=the date when someone leaves) My departure date was only a few days away. ▪ the expiry date British English, expiration date American English (=a date on a product after which it cannot be used) Check the expiry date on your credit card. ▪ the sell-by date British English (=a date on a food product after which it should not be sold) Those yoghurts are a week past their sell-by date. ▪ decide on a date (=choose the date when something will happen) Have you decided on a date for the wedding yet? ▪ set/fix a date (=decide the date when something will happen) They haven’t set a date for the election yet. ▪ today’s date Don’t forget to put today’s date at the top of the letter. ▪ sb’s date of birth (also sb’s birth date) (=the day and year when someone was born) What’s your date of birth? ▪ the date of publication/issue/departure etc formal The insurance will only cover costs incurred on or after the date of departure. ▪ meeting an occasion when people meet in order to discuss something: a business meeting. | Mr Bell is in a meeting. | The committee will hold another meeting Wednesday. ▪ rally a large public meeting, especially one that is held outdoors to support or protest about something: There was a massive peace rally in London. ▪ caucus American English a local meeting of the members of a political party to choose people to represent them at a larger meeting, or to choose a candidate in an election: Obama won the Iowa caucus in 2007. ▪ teleconference/video conference a business meeting in which people in different places talk to each other using telephones or video equipment: The chairman held teleconferences with his senior managers. ▪ gathering/get-together a situation in which a group of people come together to meet, talk, and have drinks with each other, especially friends or family: We held a small family get-together to celebrate her birthday. | She arranged social gatherings in Kettering for young people on Saturday evenings. ▪ date an arrangement to meet someone who you are having, or hoping to have, a romantic relationship with: I think I might ask her out on a date. ▪ rendezvous a meeting where two people have arranged to meet at a particular time or place, often secretly: She arranged a rendezvous with him in the hotel bar. • Write today's date at the top of the page. • We need to fix a date for the next meeting. • They haven't set a date for the wedding yet. • I can't come on that date. • Please give your name, address and date of birth. • There's no date on this letter. • Anyone who knows of the vehicle's whereabouts from that date until 7 March is asked to contact Bangor police station. • The details can be added at a later date. • The work will be carried out at a future date. • Call me next week and we'll try and make a date. • I've got a date with Lucy tomorrow night. • Paul's not coming. He's got a hot date (= an exciting one). • My date is meeting me at seven. • The details can be discussed at a later date. • Can we fix dates for the holiday? 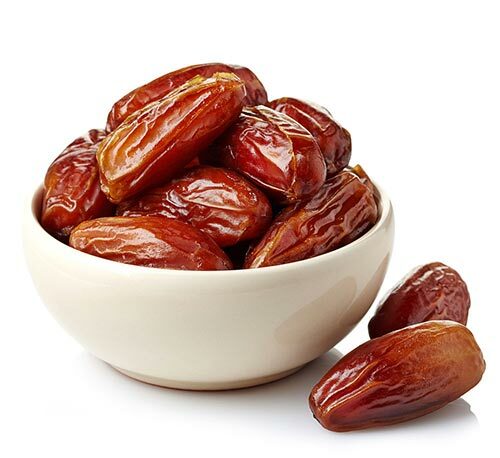 • Give me a couple of dates are good for you. • Has a date been fixed for the meeting? • He really didn't want to break his date with Alicia. • He was late, and ended up breaking their dinner date. • Historians disagree on the cut-off date for the medieval period. • I can't give you specific dates. • I have a date with Camilla on Friday night. • I have two meetings on that date. • I need to find a date for Friday. • It's a great date movie. • It's difficult to put a date on when the idea started. • It's difficult to put a date on when this neighbourhood became fashionable. • Joe's getting ready for his big date on 3rd March, when he gets married. • More money will be made available at some future date. • She had a hot date and wanted to look her best. • She met her husband on a blind date. • She suggested an earlier date for the meeting. • She wanted to arrive in time to keep her date. • She's out on a date with her new boyfriend. • The agreement runs from that date. • The baby was born exactly on its due date. • The building must be finished by the date agreed. • The building was not finished by the completion date. • The closing date for applications is May 22. • The election is scheduled to take place at an unspecified date in the autumn. • The foundations are Roman, but the rest of the building is of more recent date. • This yogurt is past its sell-by date. • We can do that at a later date. • We cannot accept applications received after this date. • We must make a date to have lunch. • We need to set a date for the wedding. • What's the expiration/expiry date on your credit card? • I can't believe you set me up on a blind date. • Paul's not coming— he's got a hot date! • The building has certain features in common with cathedrals of a similar date. • The coins are all of late Roman date. What's the date (today)?/What date is it?/What's today's date? UK Today's date is 11 June (the eleventh of June). US Today's date is June 11 (June the eleventh). The closing date for applications is the end of this month. We've agreed to meet again at a later date. I'd like to fix a date for our next meeting. I've made a date (= agreed a date and time) to see her about the house. The date on the coin is 1789. Albert Einstein's dates are 1879 to 1955 (= he was born in 1879 and died in 1955) . The expiry ( US expiration ) date of this certificate is August 2013. She has a hot date (= an exciting meeting) tonight. Who's your date for the prom? They've just finished an exhausting 75-date European tour. 1) N-COUNT A date is a specific time that can be named, for example a particular day or a particular year. You will need to give the dates you wish to stay and the number of rooms you require. 2) VERB If you date something, you give or discover the date when it was made or when it began. [V n to n] Archaeologists have dated the fort to the reign of Emperor Antoninus Pius. 3) VERB When you date something such as a letter or a cheque, you write that day's date on it. [V-ed] The letter is dated 2 July 1993. 4) N-SING: with supp, at N If you want to refer to an event without saying exactly when it will happen or when it happened, you can say that it will happen or happened at some date in the future or past. At some date in the 1990s British oil production will probably tail off. 5) PHRASE: PHR with cl To date means up until the present time. 6) VERB If something dates, it goes out of fashion and becomes unacceptable to modern tastes. This album has hardly dated at all. 7) VERB If your ideas, what you say, or the things that you like or can remember date you, they show that you are quite old or older than the people you are with. [V n] It's going to date me now. I attended that school in nineteen-sixty-nine to nineteen-seventy-two. 8) N-COUNT A date is an appointment to meet someone or go out with them, especially someone with whom you are having, or may soon have, a romantic relationship. I think we should make a date to go and see Gwendolen soon. 9) N-COUNT: usu poss N If you have a date with someone with whom you are having, or may soon have, a romantic relationship, you can refer to that person as your date. He lied to Essie, saying his date was one of the girls in the show. 10) V-RECIP If you are dating someone, you go out with them regularly because you are having, or may soon have, a romantic relationship with them. You can also say that two people are dating. [V (non-recip)] In high school, he did not date very much. 11) N-COUNT A date is a small, dark-brown, sticky fruit with a stone inside. Dates grow on palm trees in hot countries. • The date of the party is March 1. • The date on the letter was the 26th of April. • He set up a date [=(more commonly) appointment] to meet with his professor. • We went (out) on a few dates last year. • She asked him (out) on a date. • They went to an Italian restaurant on their first date. • I'm going (out) on a date with him tomorrow night. = I have a date with him tomorrow night. • I have to pick up my date at seven o'clock. • Are you bringing a date to the dance? • This is their greatest success to date. • To date, most of their work has been preparatory. • These textbooks are not up to date. • They needed to bring the first edition of the textbook up to date. • It's hard to keep all our records up to date. • The styles are not up to date. • The book brings the familiar fable up to date by setting it in the present day.